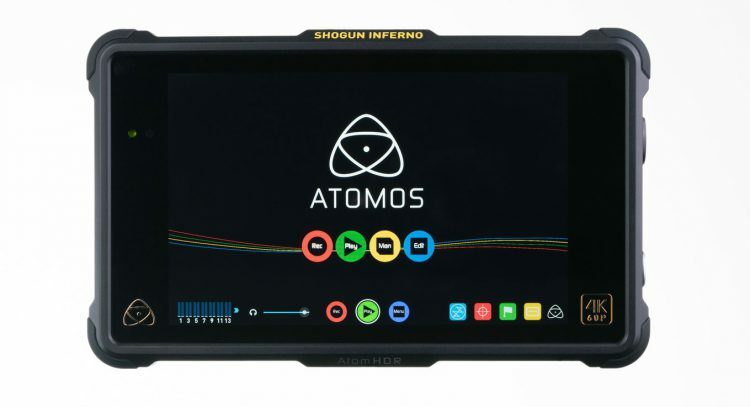 Atomos just released details for the latest firmware update version 8.11 for their flagship Shogun Inferno 4K Raw Recorder. The latest firmware update adds BT.2020 support for the Sony FS7 II and also now supports the 10-bit output on the upcoming and highly-anticipated Panasonic GH5 4K/60p camera. • Further improvements to disk compatibility and reliability. See atomos.com/drives for latest compatible drives 4Kp60/30/25/24 drives. • Fixed Sony 4Kp25/30 raw to ProRes/DNx interlaced scan lines when panning. • Panasonic GH5 support for 10bit output has been added. • Fuji XT2 support added. • Sony PS4 4kp60/HDR support added. • Super smooth monitoring of all video frame rates via switchable 48/50/60 Hz frequency based on input frame rate. It is great to hear that Atomos have fixed some of the issue present in the previous firmware version 8.1, namely with interlaced lines when panning using Sony FS7/FS700 or FS5 cameras in the Raw to ProRes/DNxHD conversion. As a reminder, the Shogun Inferno does not require a separate Raw license so as long as you have the FS5 Raw license installed on your Sony FS5 or the XDCA-FS7 extension unit at the back of your FS7 you are good to go. The Shogun Inferno can capture 4K/60p Raw to ProRes or 2K/240fps continuous from FS5 and FS7 cameras. The Shogun Inferno also supports the brand new FS7 II camera, which we have in stock here. To download the free firmware update, head over to Atomos here.